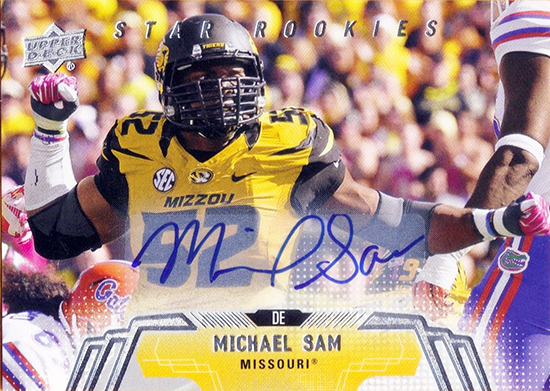 Collectors Sound Off About Why They Love Upper Deck Football! 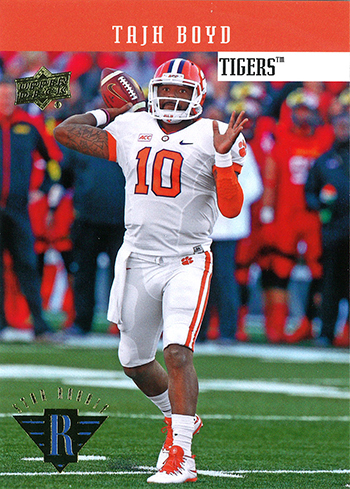 Collectors frequently stop into their local hobby shop and casually ask, “What’s new?” For football collectors however, they circle a date on their calendar every year and plan to be their shop to be the first to crack Upper Deck’s annual football release. 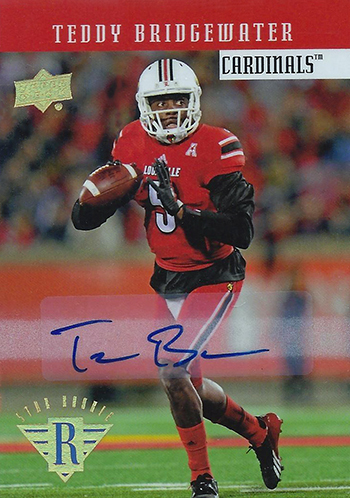 It signals the start of football collecting season as it is the first licensed release of the year loaded with hundreds of rookies and autograph cards. Every fan has different reasons about why they love the release however. Recently we asked fans on Facebook and Twitter what they love most about the annual release and here is what they had to say! 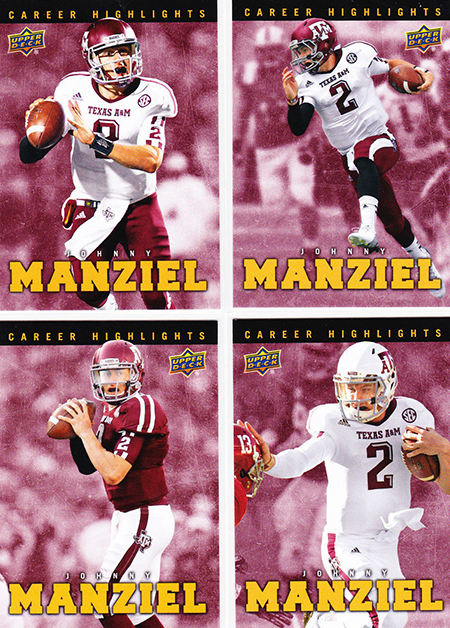 @SportsCardCollec: THE ROOKIES! It always releases at a good time before the draft. I like to watch the draft to see where my UD rookie players land! @PeeWee5555: In my opinion it is getting to see your favorite college players in their college uniforms for the last time before the NFL Draft. 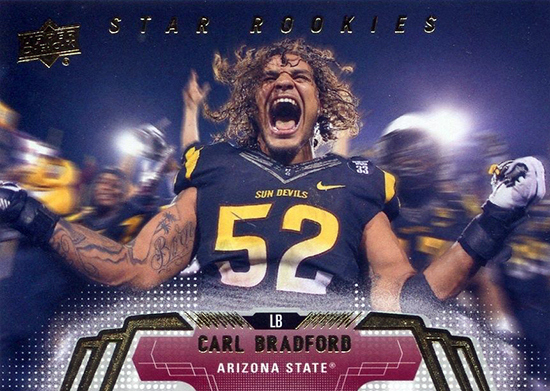 And of course the AMAZING VARIETY OF ROOKIES! 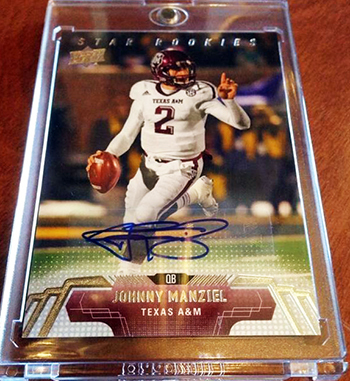 @Double_Z_Sports: Autograph Hits Like This!!!! 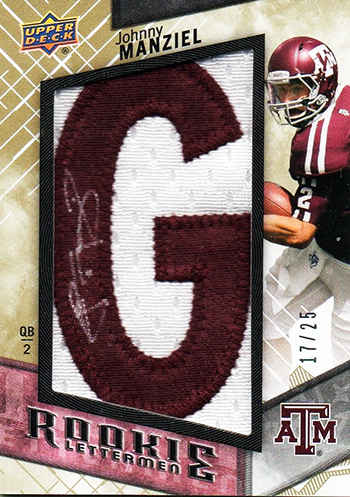 @ThatGuyTaz: I like busting Upper Deck Football to see how the first autographs rookies sign compare to how they sign 5 years later. Usually tons of difference. 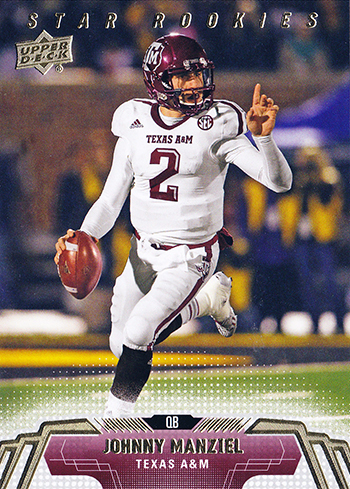 Matthew Gilman: The photography and the rookie cards. 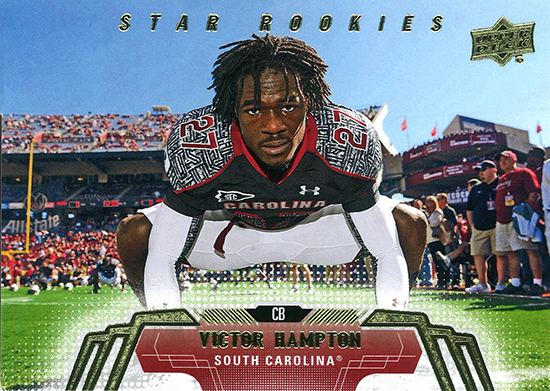 Richard Procter: The rookie cards and the design are great. 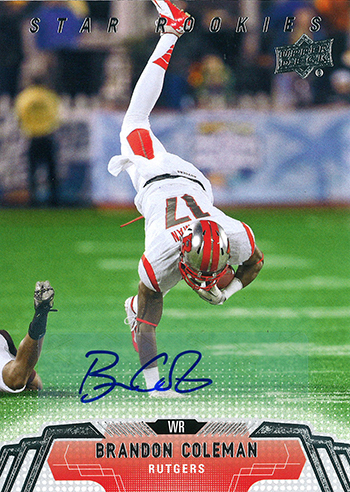 @highendsports: Love the base card photography!!!! Incredible card! 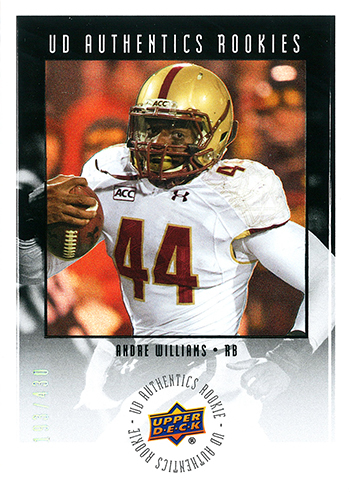 Shop owners will be busy today as 2014 Upper Deck Football arrives in stores. 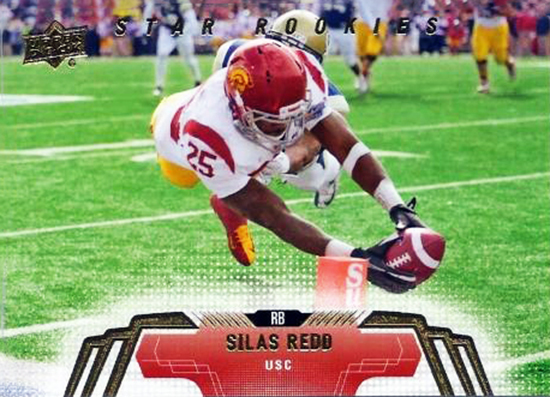 So far collectors are digging the release and some of the cards they are pulling are just awesome!